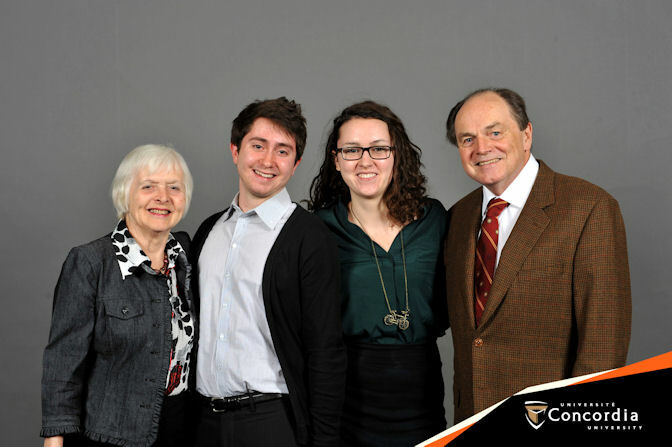 The Concordia Retired Faculty and Staff Awards Endowment Fund was established in 2002, through the generosity of the Concordia University Pensioners’ Association (CUPA) members at that time, and through the hard work of the late John Hall. The endowment is the result of an agreement between the University and CUPA to use the proceeds of the demutualization of the Sun Life Insurance Policy to fund scholarships in the name of the retired employees. The awards are funded from the investment of the original endowment fund and any additional gifts which are designated for this purpose. The number and amounts of awards is determined by the performance of the fund. 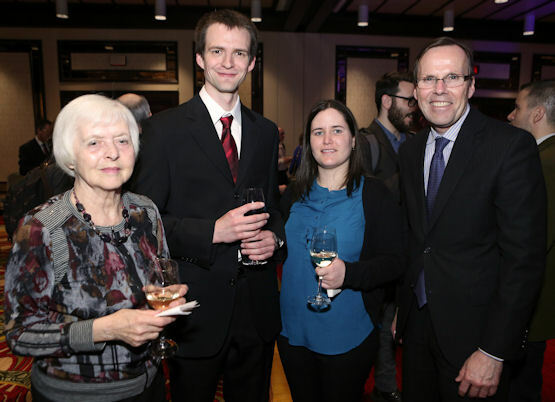 Half the income from the fund is designated for graduate student awards and half for undergraduate students, providing in-course undergraduate scholarships and bursaries. Recipients are selected by the University, must be Canadian citizens or permanent residents, and must have completed one year of full-time studies at Concordia. Awards are not renewable, but recipients may be eligible and/or re-apply in successive years. Graduate Awards are made on the basis of academic excellence and financial need, and are administered by the School of Graduate Studies. For the past two years four Graduate awards of $5,000 have been made each year. At the undergraduate level, one scholarship and one bursary is awarded in each of the four faculties. Currently these are valued at $2,500 each. 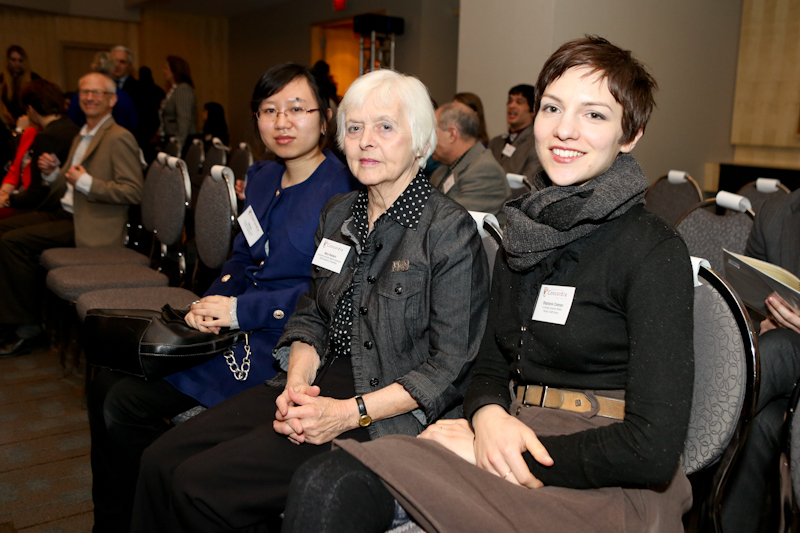 On April 11, Mary Baldwin, CUPARUC board member for our association's scholarship awards, attended the Donor and Student Awards Celebration at the Sofitel Hotel, and is shown here with two of our Retired Faculty and Staff Undergraduate Scholarship recipients. At the left of the photo is Fan Xu, originally from China who is studying Finance at JMSB in her second year and on the right of the photo is Stephanie Coleman, from Fine Arts, whois about to graduate this June with a Major in Fibres with an interest in material practices in the Studio Arts program.